I’m seeing reports that it’s out, but the profile still says not valid? Hmm. That’s weird. Idk why mine did then. Why the new one already? I figured we were done with iOS 11. I’m at lunch right now, but I will download and install it on my iPhone X when I get back to the office. 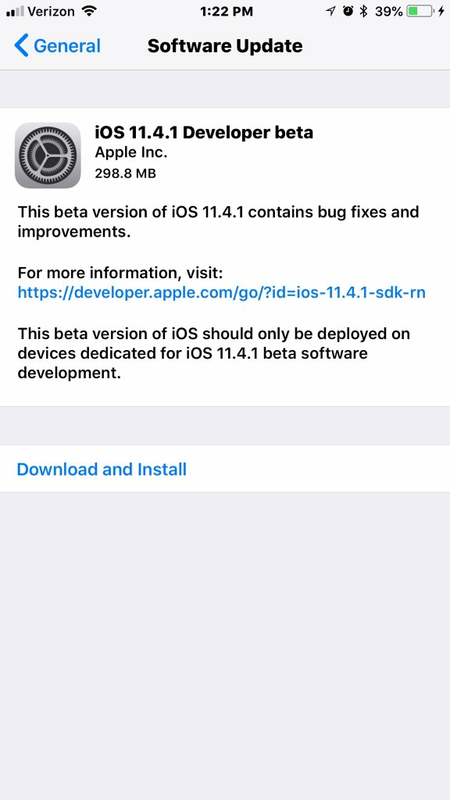 With the “official” release of iOS 12 projected for the fall, I wouldn’t be surprised if there is an iOS 11.4.2 beforehand.